It is exactly a week today, November 2, 2017, when the country lost a gem, Kwadwo Asare Baffuor Acheampong a.ka. KABA from the Multimedia Group Limited. Many have visited the family and workplace of the deceased to cry with them. Prominent personalities in the country who have mourned the late include former presidents, Rawlings, Kufuor, Mahama and current leaders of the nation, President Nana Addo, Vice Bawumia and many others. Aside from them, several entertainers have been to Multimedia Group to cry. 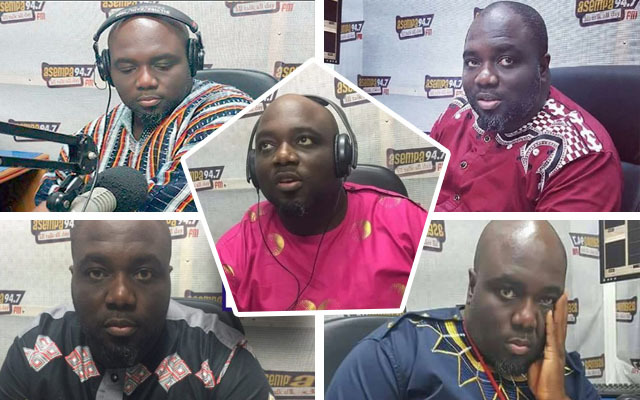 Stars who thronged the place to bewail the death of Kaba are Ohemaa Mercy, SP Kofi Sarpong, Obaapa Christy, Kojo Antwi, Becca and many others. After the former Asempa FM presenter passed on, many renowned Ghanaian musicians have hit the studio to record a tribute song for him. Obaapa Christy, Bro. Sammy and highlife artiste Kumi Guitar are among the few who have put words on an instrumental for the departed.